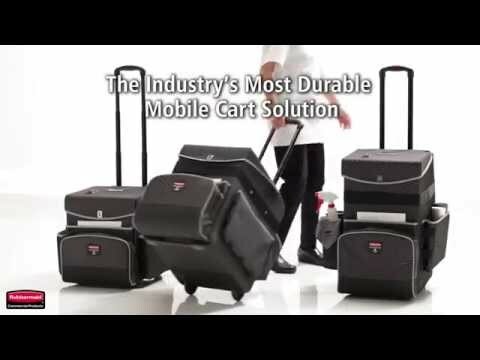 Executive Quick Cart is the industry’s most durable mobile cart solution for housekeeping, janitorial and maintenance environments. REPELS WATER, OIL, AND STAINS with Teflon® fabric protector coating to maintain aesthetics and protect against daily use. HIGH PERFORMANCE MATERIAL construction provides strength and rigidity to withstand rigorous daily use. HEAVY-DUTY KICK PLATE increases durability. ADJUSTABLE DIVIDERS helps organise amenities and supplies. ALUMINIUM TELESCOPING HANDLE is dependable for heavy daily use. ROBUST BALL-BEARING WHEELS are designed for reduced noise and heavy-duty use. REMOVABLE INNER LINER is treated with Teflon® fabric protector for easy cleaning.